Every now and then, there are words in our lexicon which actually “morph” and change in meaning and significance — nowhere is this more clearly illustrated than in the term “Diva”. By definition, the term “Diva” — which was coined around 1883, comes from Italian derivation (from Latin) — divus, meaning “goddess; fine lady; a highly distinguished female singer”. Synonymous with “prima donna”, it has legendarily been used to describe highly-charged, larger-than-life female singers (typically in opera) who embody a presence which takes up the whole room, who stuns everyone with her talent, and leaves trails of admirers in her wake. Maria Callas was among the original true opera Divas — in the best sense of the word. 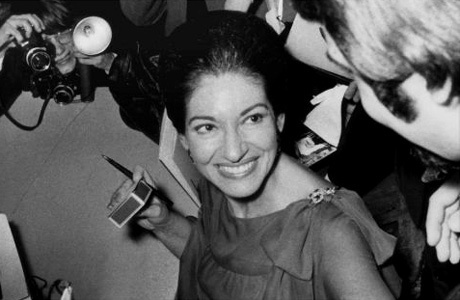 While her rivalry with fellow soprano Renata Tribaldi was duly noted (and not at all friendly — Callas once compared her sound to Tribaldi’s as one would compare “Cognac to Coca-Cola”), Callas performed and conducted herself professionally by all accounts, and never allowed her acclaim to get in the way of the amazing job she was gifted to do. Indulged, yes. But she never used her position or status as a weapon or currency. The original Divas were the first to float through airports in Rome with small dogs in their designer bags and carry on trysts with designers named “Oleg”, shipping magnates, and the like. The word “diva” has — in recent decades — come to be used negatively; as a pejorative; often describing a celebrity in film or music who is extremely fussy and demanding when it comes to personal privileges. Battle? This was All-Out War! Up to a certain point, the behavior of the ill-tempered Diva has sometimes been seen as the cost of doing business; the certain amount of shenanigans that one must tolerate to entice that kind of rare talent to your stage. 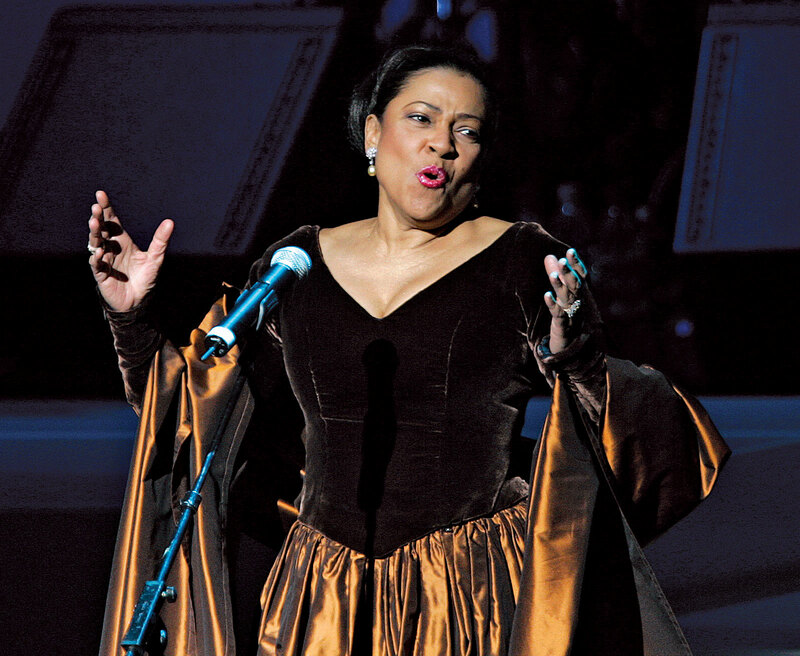 Obviously, though, there is a point of critical mass where the outbursts and the tantrums are seen as just too great a liability to overlook, and even phenomenal talents like Kathleen Battle can be dismissed if the cost is too high. I, personally, loved hearing the story about Patti LuPone (who originated the role of Evita on Broadway) who — when filming a movie in Nova Scotia, found herself in a night scene which involved her to be thrown overboard into the chilly Atlantic take after take. At first tolerant of the freezing cold plunges (and the subsequent drying-off between takes), she let three or four takes happen before she took the assistant director aside and said: “I’m sorry. I’m going to have to have a Diva Fit.” To warn others that a Diva Fit is imminent — and to carefully reserve the “fit” as one would hold back from playing the “Race Card” — until it’s really, truly needed — shows such amazingly — and refreshingly — UN-Diva-like behavior. It did actually happen to me — at an Astricon a couple of years back (for those uninitiated: Astricon is the yearly convention of developers and fans of the Asterisk Open-Source PBX — for which I’m happy to voice the prompts) — that someone actually *did* refer to me as a “Diva” — I think it came about as a glowing: “Allison, you are the Asterisk Diva!” Meant with the best intentions, I’m sure it was intended by the “gusher” to mean all the good aspects associated with the term — more Callas than Battle — nonetheless, I still felt compelled to explain that I *am* easy to work with; I’m *not* prone to tantrums, and my PDA sits firmly in my handbag as it always does, undercharged, largely ignored, and never, ever launched at anyone’s forehead. 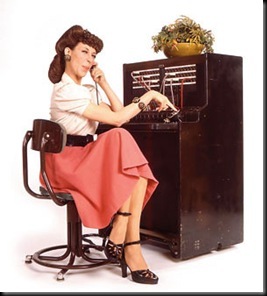 In my blog next week, I’ll investigate the world of automated Banking prompts — probably the most-used application for IVR prompts, and sadly, one of the most frustrating for a large majority of users. I am blessed to love what I do so much, that the idea of packing it in and retiring is almost anathema to me. So long as I’m able to make these same, recognizable, (and hopefully pleasant-sounding) noises (and get paid well to do so) I’d like to keep doing it as long as it brings me pleasure. Then it occurred to me: how long can I realistically *expect* to be a professional voice talent — and keep that desired consistency; that level of quality? Still — dare I ask — sound like me? Visions of Katherine Hepburn in On Golden Pond warbling: “You old Poop!” plagued me as I became determined to learn more about the physiology of the human voice and what changes can be realistically expected as we age normally. OK, vocal folds do NOT look pretty. Not even Renee Fleming’s vocal folds in mid-aria would be suitable for framing (maybe in her otolaryngologist’s office…as some sort of bizarre trophy..) — or even the stunningly healthy ordinary folds pictured to the left. But their function is one of precision and wonderment. The voice is essentially produced by the vibration of the vocal folds, which are pliable shelves of tissue stretched across the trachea. In order to produce voice, the lungs blow air against the vocal folds until the covering of the folds, or the mucosa, vibrates — this is known as the venturi effect. As air passes through a constriction (or venturi) it speeds up and creates a suction in its wake. The cycle of repeating undulation is known as the mucosal wave, the regularity of which is essential to the production of good voice. Similarly fascinating is the common knowledge among professional singers and their vocal coaches/teachers about the effects of hormones on the singing voice: when estrogen levels drop prior to menstruation, water-retention levels in vocal tissues increase, causing an increase in blood supply to to the vocal folds. The increase of mucous has a dire effect on clear diction or clarity of sound; many singers experience a husky or fuzzy quality to their voices in the pre-menstrual phase, as well as decreased volume, a breathy quality, and intonation problems. As for the effects of ageing on the voice: 48 female and 24 male long-term singers were studied regarding the occurrence of possible changes in their voices around the fifth decade of life — the emphasis of the study was actually aimed at understanding the effects of menopause on the female voice — the males were merely a control in the study, but what a useful and revealing control they were. Evenly 70% of both males and females encountered changes in their voices around the age of 50. Female singers emphasised a compromised higher register and felt greater challenges in voice control than the men. Overall, though, only 29% of women expressed negative changes in their voice, compared to 38% of men. So much for hormonal gremlins stealing our voice careers away. Much is made about vocal health among voice professionals — I recently read Broadway virtuoso Kristin Chenoweth’s biography A Little Bit Wicked (after seeing her in “Promises, Promises!” on Broadway this summer) — she recounted a story of being stranded on a series of cables above the stage while stagehands were testing her flying sequences for Wicked — she was left suspended for about a half hour while they got distracted with other duties and she absolutely *wouldn’t* yell down at them for fear of damaging her voice. While that may be seen as extreme (it’s the repeated, regular, and on-going abuse of the folds which can cause permanent damage, as Rod Stewart, Steven Tyler, and even Harry Belafonte can attest to), it did occur to me that the act of me racing out onto my back deck throughout the day to yell at the magpies and crows to stay out of the bird feeder (meant for the smaller birds) may *not* be the best practice for my voice, nor one which I should continue if I hope to voice past 50. Same goes for the occasional bursts of “encouragement” I give other drivers as they try to manuever around the new traffic circles and ring roads which seem to be popping up daily in our city. This voice we have is an amazing, complex, and invaluable component to our identities — to imagine life without it is a bleak thought beyond compare, and personally, it makes me want to make each utterance important, meaningful, and as sweet as I can make it sound. Join me here next week for an interesting exploration of privacy, confidentiality, and the measures that must be taken to make sure your outbound dialer or intake IVR is talking to right person. My product can’t be manufactured without me being physically in the “factory”; I’m a shopkeeper who always has to be on the premises in order to make a “sale”, and my “product” can’t be made in advance, stockpiled, or frozen. I am, in fact, my “product” — the telephone prompts I voice for telephone systems around the world are, for the most part, made-to-order, custom, and require me to be present in order to create them. Pretty bad business model for anyone who desires to vacation, travel for any significant length of time, or, Godforbid, wants the luxury of getting sick. Oh sure, my stock prompts are available for free download (www.theasteriskvoice.com) and they come pre-installed on every Asterisk box purchased (www.digium.com) , but those will only take you so far. Every company — from a handmade soap maker operating out of her basement, to a major defense company — requires customized, personalized company-specific greetings. When I travel, I’m largely out of commission to record: I’ve blogged previously about my mishaps at attempting to record on the road (and try to maintain the same sound quality to which clients are accustomed) like many other voice talent seem to do – and booking a recording studio while I’m on the road would be prohibitively expensive (and kind of defeats the purpose of vacationing) — so there we have the dilemma of not being able to take an extended vacation. It also needs to be pointed out that while I’m not exactly lifting heavy objects for a living, voicing is actually very taxing, physically. While I often push the recommended limits, I estimate that a voice talent can realistically voice for five hours at a stretch (or cumulative throughout the day) and still maintain a level of consistency and safety for the voice. Therein lies the bad business model: I can’t outsource; I can’t hire a staff to “man the counter” while I’m gone/incapacitated, and I can’t exactly increase production to accommodate demand, when that increases. And it seems to. Thankfully. No, I’m not presuming to say that I’m indispensable. There are lots of other voice talent who do what I do, and if it came down to it, regular clients of mine could (and do) easily hire one of my counterparts in my stead. But if they wish their current sound files to match up with what I’ve previously done and their telephony tree to flow seamlessly, they need me. It goes deeper than that – I’m at the point where I need to hire an admin assistant to handle things like invoicing, accounts receivable, basic handling of intake e-mails, and returning phone calls. It should be great news when someone reaches that volume of business when the administrivia should be outsourced – but I have a hard time relinquishing control over virtually any aspects of the business which I’ve run successfully on my own to date. After years of handling every aspect of my business alone – from constructing my own demos, to marketing, issuing invoices, (and following up on those which are overdue) – it’s hard to delegate those tasks into even trustworthy hands to free up more time to do the actual job of voicing. I’m envious of those who have established and set up a business and – with the proper training and an eye to quality control – can actually gradually step away from their business and watch it run itself as they have more opportunity to enjoy the rewards of having created an entity with its own momentum. Next week, I’ll explore in a little more detail this marvelous but strange mechanism called The Human Voice – its limitations and its vast capabilities. Thanks for reading! As always, comments are hugely welcomed!